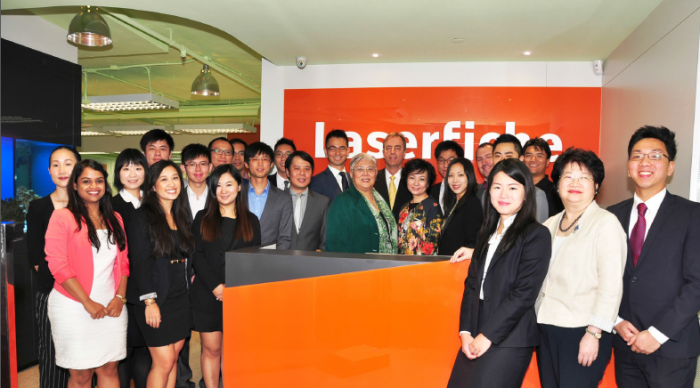 Laserfiche International (LFI) has relocated its headquarters to Quarry Bay, Hong Kong, to increase its proximity to its local clientele and better serve a rapidly growing network of international Laserfiche resellers. 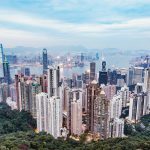 LFI’s Hong Kong headquarters provides localized account management services and marketing support to an extensive and growing network of international Laserfiche resellers in Asia, Europe, Africa, the Middle East, Australia and Latin America. 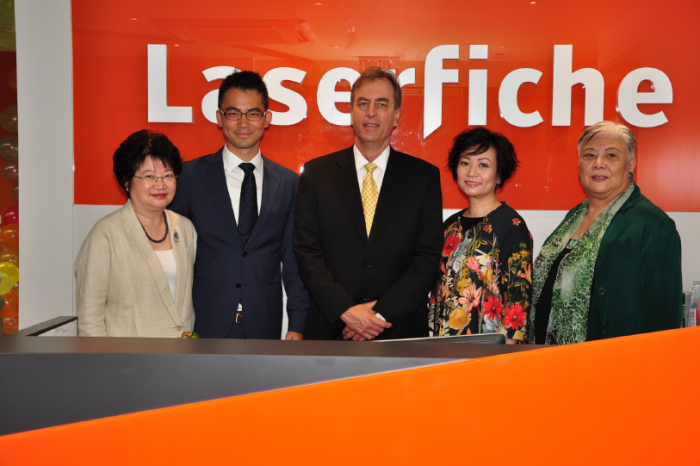 It also works to localize the Laserfiche product suite for customers in the Pacific Rim. LFI hosted an open house at its new office on Friday, May 15. 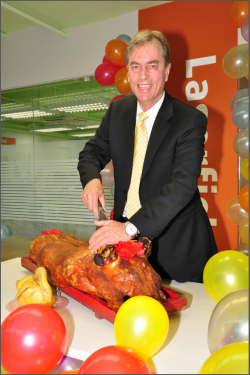 Laserfiche CEO Chris Wacker officially opened the new office by performing the traditional Chinese ritual of cutting and sharing a roast pig—symbolizing auspiciousness.